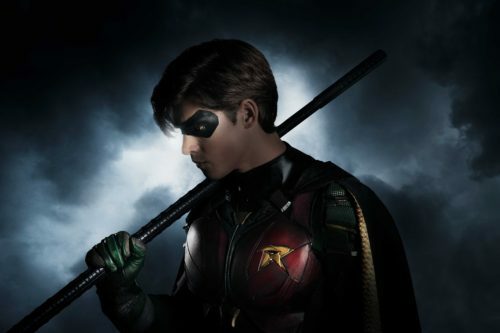 While this series alone may not whet your appetite for another streaming service (though Warner describes as “direct-to-consumer,” so maybe it’s a pay-per-view), Titans joins a third season of Young Justice and a just-announced Harley Quinn animated series. That’s just for starters. I’d bet this brings in the DC Universe animated films, and don’t be surprised if the CW Arrowverse shows leave Netflix and head here. Still, I’d like to see just a little more original programming before buying in. Take a look at Thwaites in costume below, designed by Laura Jean Shannon, who’s about to kill it for Black Lightning. 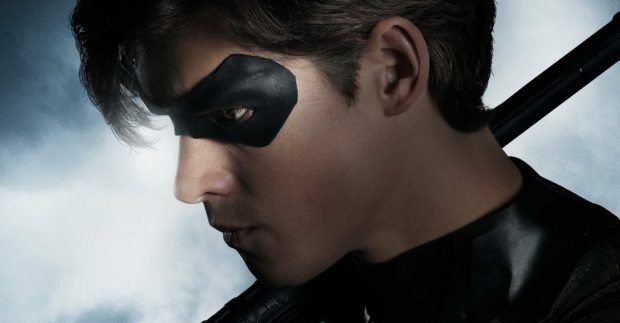 And as long as Akiva Goldsman (Batman Forever) is only producing and not writing for the show, it could be good. As good as the costume looks? Maybe. Though it’s likely the upcoming series will only bear some slight resemblance to Marv Wolfman and George Perez’ The New Teen Titans, you might want to check out those early days and see for yourself why this incarnation of the team has had such staying power. And thanks to both Justice League and co-producer Geoff Johns’ determination to place him firmly in the League and not the Titans, founding member Cyborg will likely be off the table.